Is it wiser for individual payors to stop paying SSS in the meantime, and then restart paying maximum SSS monthly contributions just before age 55? Many younger OFW and voluntary members of SSS have been asking us this question. They say that since pension computation is largely based on the average of the last 60 monthly salary credits before semester of retirement, it’s more practical for them to stop paying SSS for a while and then re-start paying the maximum SSS contribution just before they turn 55. What are their reasons for asking?
. SSS largely uses the last 60 monthly salary credits before semester of retirement for computing pension*. These younger individual payors say that since they’ve already accumulated 120 monthly contributions and are already qualified for pension, it’s better for them to use their premium payment elsewhere, and continue paying their SSS premiums just before they turn 55. 1. The total number of years of contributions also increases the pension amount. Always take note though that paying lower contributions just to increase your CYS is not wise. Doing this will reduce your AMSC, especially if these low contributions are within your last 60 monthly salary credits. 2. If you like to avail of SSS sickness, disability, maternity or salary loan programs, you need to be active payors. The common requirement is payment of a certain number of contributions within the past 12 months. 3. If we have children or parents who depend on us, we need to ensure that they get the biggest death pension that they can get in case we pass away at a younger age. But if we have adequate life insurance policies, these might cover a lower pension. can a voluntary member of SSS increase his/her monthly contribution even if he/she is over 55 years of age? Hi Jhun, yes, puede mong i-decrease ang contribution mo to the minimum for OFWs, which is 550, as of today (SSS plans to increase contributions). According to SSS Circular 2015-007, “An SE/VM/OFW member who is below 55 years old shall be allowed to change his/her MSC without limit in frequency and in number of salary brackets in a given calendar year, but in no case shall it be lower than the prevailing minimum MSC for SE/VM/OFW members.” Yong sobra sa 1760, maganda siguro na i-invest mo sa Pag-ibig 1 or MP2, para meron kang additional savings. You can increase your contribution to the maximum at age 54 and 7 months. What’s the basis of this? Kasi SSS uses the last 60 monthly contributions to compute the average monthly salary credit, one of the 2 basis of pension amount (the other is the number of credited years). Note though that the basis of salary loans, or sickness/disability benefits or death/funeral benefits are based on recent contributions, so kung lower yong recent contributions, lower din itong mga benefits na ito. Hi Oliver, thank you very much for sharing what SSS told you. It’s helpful for us. Yong sa consuelo de bobo na you mentioned in relation to counting of credited years, oo, I agree with that one. Pero yong hindi puedeng mag-decrease, sinabi ng SSS circular 2015-007 na basta under age 55, puedeng mag-change kahit ilang beses at kahit anong level, basta lang hindi lower than prevailing minimum limits, like the minimum 5k salary credit for OFWs. Tunay nga na there are things na ide-declare ng mga SSS officers sa official circulars nila, pero pagdating sa mga SSS employees sa SSS member-services counters, kulang ang sinasabi, like sa requirements ng maternity benefit, etc. at yan nga about decrease. But anyway, it’s great na maximum na ang binabayaran mo kasi within the last 5-year paying period ka na. Thanks again. Please share again with us kung meron kang na-discover na helpful information. Hi Ms. Nora. Sana matulungan mo ako sa questions ko. I was an active member of SSS for 2 years from 2006 – 2008 and then nag stop ako dahil nag abroad. Now I continue my contributions starting last month and paying P1,760/month. According dun sa mga nabasa ko, it is better to maximize the contributions if I am 50 or 55 years old na. Is it true ba? Can I downgrade my contribution from P1,760 to P550? I am 44 years old now. Please give me some advice. Thank you. Mag sixty na ako ngayong Sept 2018 tanong ko lang po pwede paba ako mag work at tanong ko din paano kong ang hulog kosa sss ay iba-iba ang amount pero nasa maximum ang karamihan 1,760 for 60 months saanpoba nila e base ang computation ng actual monthly salary credit at pwede pa ba mag work at halimbawa mag pa pension ako sa edad kong 62 pede ba yon ? Hi Nels, did you mean you resigned from your job? I asked to make sure na you were registered properly. Yes, puede kang mag-change to 1760 kahit meron nang PRN#. Change lang the amount. Kaya lang hindi na yata ma-consider ang Oct and Dec payments kasi ang semester of contingency mo, assuming your delivery date is within Jan to March 2019, is Oct 2018 to March 2019, so ang 12 months considered for benefit computation ay Oct 2017 to Sep 2018. Ask others too baka lang meron akong na-miss. Hi Eliza, yes, Voluntary na ang member status mo kasi hindi ka na employed, so puedeng magbayad agad as Voluntary at puedeng minimum amount, kasi nga unemployed. Yon nga lang, yong pagprocess ng UMID ay ganun pa rin, kung anuman yong speed of processing as of now — maybe one month or more. Pay agad then mag-apply agad. Before paying, meron nang PRN ngayon, so get it from your online SSS account, kung meron ka na. Puede rin sa SSS member service counter. Thank you so much for being active and patiently answering all our questions. Patulong din po ako, halos mag 1 year na po akong separated sa company at nagbabalak ako mag abroad. Isa sa requirements po ung umid i.d at kailangan po may recent contribution ka for 1 month. Pwede po bang mag Voluntary member ako tapos ibaba yung bracket ko dun sa lowest possible tapos magbayad ng 1 month and kuha agad ng umid? Thank you po sa sagot. Hi Marilou, it’s good then. It means you have a Date of Coverage. Salamat po sa reply ung una po employed,tapos po nag abroad ako nun 2004 voluntary contribution na po. Hi Marilou, yes, you can continue paying anytime sa Bayad Center. Yong contributions mo ba in 2004 and earlier years ay payments mo as Employed? Tinatanong ko ito para ma-sure lang na meron kang Date of Coverage. Magandang araw po,2004 last na contribution ko anytime po ba pwde akong magpahulog ulit sa mga bayad center?Itong buwan po na ito gusto ko po ulit ituloy ang paghuhulog ko.salamat po ? Hi AJ, thank you about your “expert advice” comment, but continue reading pa rin about SSS to get other people’s insights. Yes, SSS will base its pension calculation on your last 60 contributions (which are all maximum contributions at the time you paid these contributions). However, these contributions may no longer be maximum if SSS increases monthly contributions within the 9-year period prior to your retirement. SSS plans to increase contributions this year or next year, and might again increase in the near future. But your average salary credit will still be comparably high, not just the maximum. And your plan is valid and admirable, as indeed you can’t predict your financial situation after you stop working abroad (although you can prepare for it). And I’m glad you’re thinking about these things now. I’d just want to seek your expert advice. I’ve been paying my SSS contribution for about 20+ years and i’m now 46 years old. Initially employed (9+ yrs in MNL) but change to voluntary contribution when i worked as OFW in early year 2000. The thing i’d like to understand is – would it be possible to start paying the maximum contribution let say from now and for the next 5 years and at age 51 which i plan to go back to MNL for good, i’ll stop contibuting to SSS (perhap cannot afford to pay SSS anymore). With that scenario, when i reach the age of 60 – is my pension still be calculated based on the maximum contribution? Your expert advice would be very much appreciated. ano pong age limit ng pwedeng kumuha ng sss? kung 56 yrs old n po father ko pwede p po b cyang maging sss member? Hi ma’am. I am 56 years old already and now unemployed. I have already paid more that 120 months of SSS contribution as employed member. I have an existing loan to pay for almost 14 months more. Can I first stop paying my contribution for 14 months to pay for my loan and then continue paying my contributions as self-employed? Hi Amor, yes, pero by one level na lang, meaning increase to 605 lang, kasi pag older than 55 na ang member, once per year na lang ang increase and by one level na lang. Ask ko lang po kasi ang mom ko is 61 yrs old na, at ako nagbabayad ng monthly contri sa SSS nya with minimum of 550.Matatapos ang 120months of contribution nya this October 2018. My question is pwede ko po ba sya taasan ang contribution nya for the month of April 2018? Hello, Ms. Nora, I’m back! I had started my Pag-Ibig MP2 and I understand that I could miss a monthly contribution or two without hassles at all. Now, I have started contributing at 5,000/month. If I pay lesser than than in a given month, it won’t pose a problem, isn’t it, ma’am? Hi Gwyneth, yes, puede yong plano mo kasi kapag younger than 55, puede ang increase-decrease to any level at any number of times, basta huwag ka lang bumaba sa lowest mo which is 330. If you plan to deliver within Apr to June 2019, dapat meron kang 6 months na maximum within Jan to Dec 2018. Hi Ms. Nora. Employed po ako before last 2015 pa then pinachange ko na po to voluntary? Magkakaproblem po ba? 330 Lang po kasi hinuhulog ko monthly. Planning to have a baby po kasi by next year, so naisip ko po na bayadan ung maximum na 1760. And also po pala halimbawa nanganak na po ako, pwede na po uli ako bumalik sa 330 na contribution? Or dere derecho na po ung 1760? Salamat po. Hi Marilyn, I will tell you relevant factors, tapos ikaw na lang mag-decide. Ang basis ng pension amount (retirement or disability) are the number of years you have contributed, and your last 60 monthly contributions. Obviously, the more years and the higher the last 60 monthly contributions, the higher the pension. At age 55, hindi na puedeng mag-increase from lower contribution to maximum agad-agad. Only one increase per year and only one level of increase. Younger than 55, puedeng biglaan ang increase. Puedeng from 550 to maximum. Hi Gwyneth, yes, puede kang mag-increase to the maximum 1,760 immediately basta wala ka pang 55 years of age. Wala nang application to SSS about the increase, isulat mo lang yong 1,760 sa payment slip. By the way, bago ka ba naging voluntary ay naging employee ka? or OFW? or self-employed? Meron kang Date of Coverage? Hello. Ask ko Lang po kasi voluntary member ako, ang binabayad ko Lang po monthly is 330. Gusto ko po sana lakihan ung contribution ko to the maximum which is 1760. Possible po ba yun? Pano po gagawin? Salamat. Hi brian, yes, all your contributions before you stopped paying will be included in the computation of your benefits, as long as your first contributions to SSS were correctly paid. Were you an employee when you made your first contribution to SSS? Hi Joe, thank you for your encouraging words and thank you too for visiting my blog. Sorry I know only a little about GSIS. But I know that GSIS members have more savings options. Kasama pa ang life insurance. Mas higher pa yong maximum average monthly compensation that GSIS uses in its pension computation. Sa SSS, limited sa 16k, as of today na wala pang increase. Higher though ang % of contribution ng GSIS employee sa SSS employee. I’m happy for you (inggit pa nga hehe) that you’ll get to enjoy benefits from both agencies. Thank you so very much, Ms. Nora…I haven’t read answers to questions and inquiries on-line as clear and to-the-point as yours, Miss!…Do you also give time to GSIS concerns, madam? ? Hi joe, yes, you’re right, you can restart paying the maximum right away so you can register for PESO. I mentioned starting paying the maximum at age 54.5 because I was thinking only of the pension — SSS will use the last 60 monthly contributions to compute the average monthly salary credit. Question on monthly basis? Yes. Happy saving. Ms. Nora, yes, I have a date of coverage as I was locally employed earlier…I will turn 54 on the 15th this very month of March, do I still have to wait till I’ll be 54 and six months or I’ll just have to pay right away this month so that after six months I can register for the PESO? As an employee we were contributing monthly. now, to continue activating my account it is given that I have to pay my account on a monthly basis as a volunteer paying the maximum, right, Ms.Nora? Hi Rheiven, voluntary ba nag-start ang mother mo? O employee siya noong una? Kapag voluntary nag-start, visit the nearest SSS branch and verify kung meron siyang Date of Coverage. Bring ID. Kung ikaw lang ang pupunta, bring authorization letter, her ID and your ID. Kapag merong Date of Coverage, you can restart paying her contributions. Kung wala, ask the officer kung anong gagawin nio, kasi kelangan ang date of coverage sa processing ng pension. Hi Nora, my mother is an Sss member (voluntary), she stopped her payments for couple of years now amd I think she havent completed the 10yr payment. She’s turning 57 this year and I want to continue her contributions for her to have pension, do you know how it works or any advise? I would appreciate it. Thanks! Hi Anthony, pag meron ka nang 120 monthly contributions posted, qualified ka na for pension starting age 60 na unemployed na. Pero you can continue contributing to SSS even after 120 so you can have a higher pension amount. Ang basis ng pension amount: Your last 60 monthly contributions and total number of monthly contributions. Kapag higher yang dalawang yan, higher ang pension amount. Enroll in online SSS so you can track your pension amount (if meron ka nang 120 contributions). Hi Russel ask ko lng hanggang magkano ba dapat abutin ng contribution nmin sa SSS bago malaman nmin na pwede na kaming huminto? Hi Mica, yes, itutuloy lang niya para makabuo ng 10 years. After makabuo ng 10 years, mag-claim na siya ng pension. Before siya mag-start magbayad, dapat mag-register muna siya as self-employed. Requirement ito. Merong Self-employed portion yong SSS E-1 form. Show proof na meron siyang pinagkakakitaan like commission receipt or barangay certfication. Sixty years old na po ako pero kulang pa po ako ng 15 monthly contributions para makompleto ang 120. Itutuloy ko po ba ang monthly contribution? Entitled po ba ako sa pension pag natapos ko ang 120 months? Good day po sa inyo. Ang papa ko po 56 yrs old na sya and hanggang ngayon po naghuhulog sya ng minimum na 330. Pwede pa po ba syang maghulog ng maximum? Helo po.. yong tungkol po sa flexifund gusto ko po kasing magregister kaso 550 lang po ang contribution ko monthly qualified po kaya ako? Kung hindi po ano po ang pwedeng gawin? Andito na po ako sa ibang bansa. Salamat po. I’m 52 years old and employed. I asked my employer to increase my MC but was denied. they asked me to wait till I’m 55. is this right and lawful? Hi Nora, thanks for the very helpful posts. Question: I have very low contributions when I started 25 years ago. Would those low contributions lower my pension, even if they are not within the last 120 contributions? I am a medical doctor, 54 years old with present monthly contribution of 1210Php. I was told that I can still pay up to 65 years old. Is it right for me to increase to maximum contribution at age 60? Or because I,m now 54, will I increase now to max before I reached my 55 years? Or, I can pay the maximum amount of contribution for 120 months, and stop my contribution because im already qualified for the pension benefit,and just wait for my retirement age, for my pension,. Reading all your comments, it means I can pay small amount 1st for 10yrs, then stop, then pay the maximum amount at age 55, all I concerned is the pension,. Magandang araw po im 36yrs old OFW po ako at naka 126month na hulog na po ako sa sss maximum 1760 dahil may flexifund po ako nag continue pa po ako hulog ang tanong ko po kung sakali na stop ko na po ang hulog at icontinue ko na lang po ulit at age 54 pra maka avail parin ng high amount po ng pension pwede po kaya yun may pagibig din po kz ko hndi pa nka 240months may MP2 rin po tsaka balak ko po invest pa sa iba like mutual fund kaya gsto ko po sana stop na yung sss sa ngayon wala nman po ako anak may problema po kz ako magbuntis at hiwalay na po kya ung benefits na maternity malabo ko na magamit thanks po god bless. Pwede ko po pa po bang bayadan yung pang may to july 2017 kahit late payment na ako..
hello..need pa ba magfile sa sss kung mag change ako from non working spouse to voluntary..
Nathalie here I have a question I hope you would answer.My mom is 42 yrs old.She started paying her SSS contribution at 22 yrs old.She paid for atleast 5 yrs then she stopped paying because she stoped working and decided to stay home .She hasnt paid for the last 18 yrs.But now I d like to pay it for her. How does this work ? what is the procedure if I want to pay the lost yrs.How do you compute ? Does it have interest? JM here. Question for my father. 47 yrs old n po siya currently 550 monthly contribution nya. Pwede q po bang iincrease to maximum ang payment to any bayad centers without consulting or informing SSS na magincrease na po siya? Automatic po bang iaaccpet or mapopost yun? Good day Ms.Nora! Nagbabayad po ako as voluntary payor sa sss then last week nagpunta po ako sa sss branch para itanong kung pwede ko na iincrease yung contribution ko since me application po ako abroad. If in case po ba na not within this year ako makaalis pwede ko pa din po ituloy as voluntary payor with the same amount before yung ibayad ko hanggang hindi ako nakakaalis ng bansa?o possible po na nabago na niya sa system ng sss na ofw ako the day na naginquire ako sa sss branch? thanks po s reply.ntnong ko lng kc nakabayad n ng 1st half this year ung tatay ko.good to know n pde pala itaas s 2nd half. Hi edwin, oo, puedeng in the middle of the year, pero if you can, para magiging higher ang Average Monthly Salary Credit mo, simulan mo na yong increase early in the year. Kasi ang icocompute nila is the last 60 monthly contributions prior to semester of retirement — roughly contributions from age 54 and 6 months to 59 and 6 months. good day po.after age 55,isang level n lng ang pdeng iangat every year.pde po b n mgcmula ung pagangat in the middle of the year ? Hi Nerisse, sorry, hindi allowed yong request mo. Hindi allowed ang retroactive payments or payments for past years. Merong payment deadlines. This is how to register as self-employed. You need to register as self-employed (keep your SSS-stamped-approved registration form) para magiging valid ang mga payments mo. Hi, I’m not yet a member of SSS and I’m already 28yrs old and planning to apply this year. My question is, since this year pa lang ako mag member, pwede ba ako mag bayad ng contribution sa years na hindi ako member just to possibly increase my pension in the future? For example, I want to pay the worth sana ng contribution from when I was 22yrs old, I’m now 28 so mga 6 years worth. Pwede ba yun? Or kailangan kung kelan ka lang nagstart mag member? Hello, good day mam Nora, I am finished paying the 120 months and I think I already exceeded – into 130 months. Just asking, can I stop payment for my Contribution? And if I stop contributing, can I still avail the sickness benefits anytime? And what’s the benefits if I will continue to contribute even if I’m already finished the 120 months? Thank you so much. Hi Val, you need to visit the nearest SSS, and ask the SSS officer about your incorrect data. Puedeng meron kang kapangalan with similar info, so na-mix-up ang data ninyo. It’s better na maayos mo ito earlier. Hi Jeziel, yes, puede sa Bayad Center as Voluntary. Pero kung hindi ka nag-start as employed SSS member noon, at hindi ka nakapag-send ng OFW form, para sure, visit the nearest SSS, and verify your date of coverage. If you have a date of coverage, valid ang membership mo at puede ka nang magbayad sa Bayad Center. Enroll also in online SSS so you can check your payments and other data. Helo po ofw ako. End contract.want to continue my contrbution.. pwede direct na bayad sa bayad center as voluntary? Hi po, ask ko lang po. Kakacheck ko lang ng SSS contributions ko online. Then nagtaka ako nung makita ko yung contributions ko. Nagstart siya noong 1981 and 1982 tapos nagstop. The funny part is, 1991 po ako pinanganak and 2014 ako nagstart magwork. Magkakaroon po ba ako ng problema dito? Thank you! hi po, if kasama po sa computation for monthly pension ang CYS, pano po magiging computation kung saktong 120 months lang nagMC eh diba po 2% of AMSC x CYS-10 eh kung saktong 10 years lang po ung CYS nya, magiging 0 po ba un? Hi Iana, ask your tita to go now to the nearest SSS today. Ngayong araw! Today is the deadline of the loan restructuring program. Last year pa ito nagsimula. Bakit kaya hindi niya nabalitaan? Dalhin nia mga IDs niya. Dapat ngayong umaga kasi magpapa-notarize pa siya (150 to 250 pesos for notary). Baka maraming taon na uli ang lilipas bago meron uli restructuring. Yong 10k na loan ay super laki na ngayon, so it’s wise na pumunta siya sa SSS ngayon. Malaking bawas sa pension siya kapag hindi nia mabayaran ang loan niya, so dapat pumunta siya agad ngayon sa SSS. Siguradong mahaba ang pila ngayon, so dapat pumunta siya ASAP this morning. Hi po, ang tita ko kasi nakapagbayad daw ng sss for 3 years nung nagwork siya sa isang company then nakapagloan dn sya ng Php10,000. But nung naging selfemployed na siya nung 1997, d na siya nakapaghulog sa sss and d rin nya nabayaran loan nya. Gusto daw nya po icontinue ulit maghulog sa sss pero nagwoworry po sya sa loan nya na d nbayaran 20yrs ago. Ano po dapat nyang gawin? Hi Nora! Ako po ay OFW since 2012 pinapatuloy ko ang minimum monthly contribution ko kahit nung nwalan ako ng trabaho at hangang nkabalik ako ulit as ofw. Nung aug 2016 bumalik na ko ng pinas ng dahil natapos na ang contract ko..nabayaran ko po ung buong 2016 Sa minimum monthly contribution. Manganganak po ako ngayon sept 2017 makakaavail po b ako ng maternity benefits kahit Hindi na ko nakabayad simula Jan 2017? Pwd ko bang bayaran ng mas mataas ng konte mula Jan-March 2017 para mas mtaas ang makuha ko na benefits? Hangang kelan ko po ba dapat bayaran ito?Sa ngayon po ay wala ako trabaho kinakailangan ko bang palitan status ko as voluntary pra lng makaavail ng maternity benefits? Pwd ko bang ihinto muna pansamantala ang pangbayad ng contribution? Salamat sa tulong. Hi Roland, yes, puede pang mag-contribute. What were your last monthly payments in 1989? Kasi meron nang rule about increasing only by one level and only once per year kapag 55 and older na. Do you have an online SSS account? Makita mo ba na OFW pa ang member category mo? Kasi meron ding exemption, so let’s see kung puedeng exemption. I am 58years old nag contribute po ako sa SSS from 1980-1989 pwede po ba ituloy hulog sa SSS kahit di na ko nagtratrabaho nakapagsave naman ako kahit papaano nung nagwork ako abroad. Hi Anne, if you’re younger than 55, yes, you can increase or decrease your contribution amount to any level any time by any number of times. I’ll give you the link to the SSS circular later. But if you’re already 55 or older, SSS allows you only one change per year and only one level per year. Write me again if you’re 55 or older so I can give you tips. About your brother’s SSS, yes, he can start contributing again anytime. What’s his age? And has he accumulated at least 120 contributions? If already 55 or older, what were his last 3 or 5 monthly contribution amounts? So I can give a better advice. Hello po. I resigned from previous work a year ago and since then I am paying the maximum contribution as a voluntary member. I’m having financial difficulties and was thinking of decreasing the contribution I’m paying. Meron po bang restriction kung ilang level sa contribution bracket ang pwede kong ibaba? Pag po ba nagchange ako ng contribution and naging ok un financials ko anytime pwede ko bang itaas ulit contribution? Another question po, my brother is now residing in Australia pero he used to have SSS when he was working locally. Pwede po ba activate ulit ung SSS nya? Thanks. Hi Hershey, nagwo-work pa ba as OFW? If yes, magbayad siya as OFW. If hindi na OFW, voluntary na ang isulat na member category sa payment slip. Ang purpose ba ng pagpatuloy sa pagbayad ay to complete 120 contributions? Or para dagdagan ang pension amount? Puedeng magpatuloy magbayad until age 65. Puede lang magpatuloy magbayad after age 65 kung hindi pa na-complete ang 120 contributions. Kung today ay meron nang 120 contributions, at gusto lang na tumaas ang pension, yes, tataas kasi madagdagan yong number credited years at yong average salary credit (ASC). Pero konti ang effect sa ASC kung yong last monthly contribution ay mababa. After age 55, isang level na lang puedeng mag-increase per year. Ano ang mga last contributions niya? Wala pa ba siyang 120 contributions? Hello po. If 60 na po sya ngaung 2017, pero 1 year na sya nahinto mag pay ng contribution for one year now, pede pa po ba sya maghulog ng contribution as ofw? Until what age sya allowed maghulog sa sss and tataas ba ang pension nya kung ituloy nya? Thank you po. Hi rose, bago ka magbayad, mag-register ka as self-employed. Bring proof of your source of income (commission receipt, etc). Puede ring barangay certificate certifying your source of income and your estimated monthly income. Then bring your ID and go to SSS and fill out the self-employed registration form. Pag approved na ng SSS, you can start paying. Your monthly contribution is based on your monthly income, so look at this SSS table of contributions and decide which monthly income you will declare for your barangay certificate or to SSS. Hi Madison, are you paying as employee? Meaning nag-register ang father mo as self-employed and sole proprietor and then na-report ka as employee? or as voluntary? If your member category is Employee, yes, your father can pay for your past contributions, but with penalties. Your father fills up the forms at the SSS branch, so he can have the penalties computed there. If voluntary, you can no longer pay for contributions that are past the payment deadlines. But you can re-start paying. This March, you can pay for the Jan to March quarter. Hello. I was employed by my father for his laundry business. Unfortunately, we were not able update my contributions religiously. May I ask if I can still pay my contributions for the year that has passed since today? Thank you. Ask ko lang po,gusto ko din kasi magkaron ng sss..
SSS number lang po ang meron ako..pano po pagbabayad,at San? Hi Delia, kung nakabayad ka ng 120 monthly contributions (10 years) or more, meron kang pension starting age 60. Kung less than 120, lump sum ang ma-claim mo at age 60. You can visit the nearest SSS with your ID and verify your contributions para madagdagan mo ang contributions mo kung kulang ka pa sa 120, para mag-pension ka starting age 60. Kung actively paying member, merong maternity, sickness or disability benefits. HI,ASK KO LANG PO ANO ANG MGA REQS FOR SSS PENSION CLAIM NASA AMERICA YUN NAG AAPLY?KUNG PWDE I SUBMIT YUN REQS SA PILIPINAS THRU REPRESENTATIVE?SAAN PO PWDE KUMUHA NG SPA KAPAG NASA ABROAD KA?PAANO MG OPEN ACCOUNT NG DEBIT CARD SA PILIPINAS kung nasa us ka ? Hello Im Delia Elas Balbuena. Ako ay dati miembro sa SSS. Ako po ay nahinto sa aking contribution dahil nawala na ako sa trabaho. Nakahinto ako sa pagbayad sa SSS nuong 1991. Kaya I ask from your good office kong ano ang gagawin ko sa SSS ko. Nuong ng isinilang ko ang aking pangalawang anak ay nakaclaim ako ng maternity leave. Pero pagkatapos nuon hindi na ako nagbalik sa trabaho ko. Kaya nga ano ang ma-advice mo sa akin. May benefits ba ako makukuha dyan sa nahinto kong SSS. Hi Zj, walang penalty. Puedeng tumigil mag-contribute ang voluntary member any time at puede ring mag-resume na magbayad any time. Pero hindi na puedeng bayaran ang mga matagal nang lumipas na months or quarters. This month, hindi na puedeng bayaran ang months in 2015 and in 2016. Ang puede mong bayaran this month ay Jan to Mar (kung quarterly payment). Kung monthly payment, you can pay for the month of March. Puede pang bayaran ang month of Feb, pero sa SSS ka na magbayad (merong payment deadlines based on the last digit of your SSS number). Ask ko lang if you have any idea to this. I’m a voluntary member. Then late 2015 until now, I wasn’t able to pay my monthly premiums due to financial issues. Then gusto ko na sana siya icontinue now. May penalty ba? Nahinto ako sa pagbayad for more than a year. Hi Ann, they will compute both the 2 averages you mentioned, then kung ano ang higher average, yon ang gagamitin. With your plan of decreasing your contribution amount, puede naman, kasi you still have time to increase it when you get employed again. But if you plan to get married soon and have a child, you need to maintain a higher contribution to avail of a higher maternity benefit. Hi Mrs Nora! In the pension formula.. Will SSS use the AMSC of the last 5year contribution or the average of all the years of contribution? Im kind of confuse on how they compute the AMSC. I’m 26yrs old, resigned and planning to be a voluntary member. I already contributed for 3 years and wanted to know if it’s ok to decrease my contribution to minimum. Panu po magbyag my remittance din po ba abroad? Dto po kc aq taiwan usually kc pinapahulog ko sa pinas…anu po mas easy way to pay? Kng mghuhulog po aq example for 6mos.contributions? Wat if i skip for 2months still i can pay for those previoys months??? Hi Lalala land, yes, if you accumulate 120 or more monthly contributions, you will get a pension when you turn 60. Siempre mas higher ang pension kung mas maraming taon na nag-contribute ng maximum. Ang basis ng computation ay yong the last 60 monthly contributions/salary credits and the number of credited years. I am 30 years old and I paid a total of 66 contribution at the maximum amount. I am an OFW now, and I am planning to continue my contribution until i reached 120. My question is, can I still get pension? Hi Dennis, you have 17 to 18 years more before you turn 60. You can have your highest pension amount if your last 60 monthly contributions are maximum contributions (currently 1760) and you have more years of contributions. Since SSS considers the last 60 monthly contributions, you can contribute lower amounts now (minimum is 550) and then pay the maximum contributions later on (last 60 months), but because we can’t predict what’s our situation in the future, you can start with maximum or near-maximum contributions. About paying 120 contributions in 5 years, this is not allowed. You have to pay 120 contributions in 10 years. You can pay many months in advance but SSS will post your payments as the actual months arrive in real time. This means if you start this month, you will have to pay contributions until 2026. If you already have an SSS number, make your first payments from abroad so you’ll be verified as OFW. I currently working as ofw, Im 42 years old now, I want to be a SSS member and get the highest monthly benefit. If i will start now, can you please advise me in what formula should i take, if can pay the total 120 contributions in 5 years time. Ofw po ako, dito sa saudi, member po ako sa sss,sinusubukan ko pong magregister online para makta ko ung mga contribution ko, ang problema ko po ung RECEIPT NO./OTC: di ko lam kung saan ko makikita, may mga nakalagay sa resibo na rcpt no. at sss transaction number sinubkan ko pera ayaw din po. I am an OFW, and started paying 1,650 beginning 2015 til Feb of 2016. I was unable to make contributions beginning March 2016. I have more than 120 contributions already. Now I read about the computation for pension at age 60. I am 43 now. And I am considering other options for my retirement. I want to decrease my payment however I was told that I can only go down as far as 2 brackets from my present contribution. My option is to stop contributions altogether then just resume payment at age 55. Any thoughts on this pls? Hello im regine I want to apply sss my ages 35 yrs old but I want to pull payment in 1 time for 10 years limit for my sss it will considered? And what is Mc means? What is MSC? Hi tine, are you younger than 54? Yes, puede. Make sure to start paying the maximum at age 54 and 6 months. Hi jean neri, enroll in online SSS so you can check if you have a Date of Coverage (this means your registration and contributions are valid) and you can track your no. of contributions. Yes, if you have 120 or more valid contributions, you can apply for pension when you turn 60. If you’re employed, you’re mandated to continue contributing even if you’ve already accumulated 120. Hi, I would like to confirm my understanding. I am 31 yrs old and already have 96 contributions. so meaning I can stop paying once I reach the 120 total and that would be an assurance that I will get a pension? hi po.. im 26 at gusto mag start magbayad ng sss. panu po ang mainam na gawin? 1. can i start paying min and 60months before i complete the 120months mag max po…. ? pag na complete na ang 120months mag stop na.? 2. bakit po ung iba 20yrs or more magbayad.? ano po ang kinaiba pag nagbayad ka ng more than 120months. Hi Ads, yes, you can continue paying the maximum monthly contribution as Voluntary. Yes, you will receive pension if you will accumulate 120 monthly contributions. Yes, you can do with SSS as you have planned, but make sure to look for other safe investment schemes because the SSS pension won’t be enough for retirement. When BDO launches its PERA scheme, consider it. Check out also Pag-ibig 1 and Pag-ibig MP2. Or the SSS PESO. I am 33 now and I still have 5 more years to pay to complete the 120 contributions. I used to work in a private university but now I decided to do homebased job. Can I continue paying the max MC and once I reached the 120 contributions, can I stop contributing to SSS? If I do this will I stil receive pension in the future? Hi tine, 1. If your parents are still alive when you pass away, it will be them who will be able to claim because they are next in line after legal spouse (if there is) and minor children. If they have passed away by that time, then the next in line will be anyone written as your beneficiary in your SSS records (I assume your daughter’s name is already written there as your beneficiary). Five years or 60 monthly pensions is the guaranteed number of pensions so if you have received already 60 or more monthly pensions then you pass away, then no more benefit is given to your daughter or parents, only the funeral benefit. 2. Yes, even if you stop paying at age 45 as long as you have accumulated 120 monthly premiums, you will get pension when you turn 60. If that is your plan, pay the maximum contributions from age 41 to 45 so your pension will be higher. Hi Elena, I hope you can contribute this month and the next months until about 4 to 6 months before your 60th birthday — SSS considers the last 60 contributions prior to the SEMESTER of retirement. Contribute 1,595 because your last contribution was 1,540. Those more than 55 are not allowed to increase their contributions by more than one salary bracket from last posted contribution per year. If you can write your last 60 contributions and corresponding salary credits (count 60 contributions backward from July 2015), and your calendar years of contributions, then we can estimate your pension amount. This is better: you enroll in online SSS so you can check your contributions, your CYS and your estimated pension. When 6 digits are asked during registration, try using 6 digits from your July 2015 receipt. If no longer recognized, pay for this month at SSS, so you can enroll online again after your payment is posted. Ellen Hi mrs Nora, I’m Ellen.I’m turning 59 this month.I have worked for almost 25 continued years.My last contribution before i resigned was 1500, that was March 2001. On the same year i paid 24mos contribution as voluntary member at the lowest amount of monthly contribution. After 10 years i’ve heard that the bases of computation is the last 5years of maximum contribution before age 60.I’m worried because of the smallest amount I contributed, so even though its so hard to produce money, I contributed 660 on April 2015,on May 2015 I paid 825, on June 2015 I paid 1100 and on July 2015 I paid 1540…I have stop paying due to financial shortage. What will be my expected pension when I turn 60 years old next year. I plan to contribute again if I have enough amount of 1760 so I should have chance to receive the right amount of pension I expect. Hi alex, yes, you’re right. I’m glad you’re analyzing these things well. For maximum amount, those retiring at age 60 should start paying the maximum at age 54 1/2 so that all the last 60 monthly contributions are maximum. SSS considers the last 60 contributions prior to the semester of retirement, not prior to the month of retirement. So the above payorA even though contributed less will receive the same pension as the payorB paying the max from the start. Cebu saying ” There’s no need for SSS pensioners to follow up manual verification because the amounts will be added to their bank accounts”.My question is, until when I will wait for the said amounts to be deposited in my bank account? I have been an SSS member since I was employed in 1980. I have paid MSC @16000 since 1994 and thus have been paying P1760 till I retired (early retirement) in 2015 March. I continued paying P1760 for the whole of 2015 as a voluntary member.Thus my total SSS contributions is 420 months, of which 252 months paying at MSC. If I stop paying my contributions effective 2016, how will this affect my pension benefits? Or is it advisable tp stop and just wait for my pension at 60? I am 57 yrs old now. Can I still avail of loans or heaven forbid if I become disabled at any time before I turn 60, am I eligible for disability benefits? Thank you for your assistance. Your site is very informative. Then that is too bad. If that is true then that’s a little wicked trick not to get the MSC @ max. Seriously who in their 50’s who are mostly retired can afford to pay the 1760 max. contribution? I don’t think so that you will get MSC @ 16000. Remember the critical period is the last 5 years until you reach 60. It will be your age at 55 whatever month and end at 60 whatever month falls. What basis then that they will give you for your MSC if you did not contribute for the last 5 years of yours? I guess they will compute it as averaging. They may compute the last contributions of yours and to the minimum contributions @ 5000 if you are OFW. Not sure……that is exciting to know. Russel again. This one’s bothering me. As I had stated above I am 45 now and my last 10 payments @ 1760. If I’ll pay my contribution without fail I will complete the 60 contributions at maximum when I reached 50 years old. If I stopped my contribution then and just wait for my pension when I reached 60, I assume I would still get the MSC @ 16000? I already did. From 605 I paid my last 10 months at 1760. Hi Geronimo, I’m glad that you’re investigating these things so you can maximize your resources to increase your pension. yes, you’re right, the last 60 contributions prior to semester of retirement and the CYS are the two factors that determine your pension amount. Thanks again for commenting. Thank you Mrs Nora for the clarification. the computation of your pension depends on the last 5 years of your contributions. In doing so when you reach 56 your contribution must be on the maximum to enjoy the full benefits. Also CYS also affects much. i dont know also if you are 49, the allowed prevailing minimum Salary Credit for OFW is 5000 that is 550 MC. If that so from 550 at the age of 49 jumping to 13000 that is 1430 MC will be advantageous to OFW. Noting from below circular, you can jump to 16000 MSC from 5000 MSC below 55 yeras old. Meaning, If you are 54 paying 500pesos you can increase 1760pesos if you reach the age of 55….well that’s great! Hi Geronimo, thank you for sharing. Jumping from 500 to 1760 is allowed as long as you are younger than 55. Here’s the new circular on changing SSS contribution amounts, approved in 2014 but released only late last year. I’m curious if an SSS officer at the branch told you otherwise. SSS cannot allow you to jump from 500 to 1760 contribution. Hi Japs, thanks for your comments. I’m glad that more young people are thinking about their finances. In your other comments, you said you’ve accumulated about 8 years of contributions when you worked here in the Phils. As you’re abroad working, I think it’s wiser if you continue paying your contributions and complete at least 10 years of or 120 monthly contributions to ensure your eligibility for pension. Then think some more about these CYS and average-monthly-salary-credit things after your 120th. Consider also saving with Pag-ibig MP2 if you don’t yet have this. May I ask a favor from you? When you have time, would you please access your online SSS account, and try to check your estimated SSS pension. Obviously, you’re not yet eligible — but I’d like to know what info does SSS gives if you’ve contributed only around 96 contributions. Thank you very much. Hi russel, it’s good to know you’ve accumulated more than 120. Indeed, you have valid arguments in planning to stop contributing for a while, or to continue but pay the minimum. But whether you stop or pay the minimum, it’s wise to save with Pag-ibig MP2, or increase your savings if you’re already with MP2. If you decide to contribute the 550 minimum to increase your CYS, consider its immediate impact on your average monthly salary credit. You can check your estimated pension if you haven’t yet, and I hope this helps a bit. Hi Ms. Nora, this really an interesting topic which totally cleared my doubts. Same as russel, I am thinking why we need to pay max contribution at the earlier stage if at the end of the day it is the CYS that matters. Hi Nora, I’m 45 now and have a total contribution of 147. The last 10 months payments at maximum. Hi russel, may I think about your data? What’s your date of birth? And how many contributions (no. of contributions) have you paid in all? And how many 1,760s have you paid? Russel again. Thanks for the clarification. It’s really an eye opener especially for self employed/voluntary/ofw like me. But now I am in a quandary if I will go down to minimum in my contribution or continue paying the maximum and stop when I reach the required 60. My worry is that maybe if I start paying the Max. at 55 I am no longer in a capacity (financially) to pay that amount. On the other hand I could lower my contribution at the lowest and divert instead the money to other investment like PagIbig. Anyway thanks again. You’ve been a big help. More power to you. Hi russel, yes, you’re right in your comparison and that the total amount of contributions is not a factor, and yes, there’s an unfairness to it. In a way, OFW, voluntary and self-employed members who know the pension computation are luckier because they can manipulate their contributions to their advantage, but employees cannot and those individual payors who don’t know this formula cannot. Your Member No. 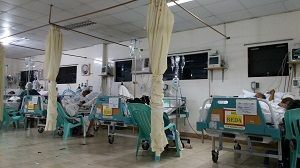 1 case illustrates the case of employees earning 15,750 and above, who cannot control their SSS deductions, and as in taxation or in Philhealth contributions, they will carry most of the burden, as this how social institutions work. Imagine if all individual-payor members stop paying, and restart only before they turn 55. Tt might prompt the SSS to ask Congress for a change in the AMSC formula or pension formula, or in how individual payors pay. I think the recent SSS circular changing their policy on increase in contributions is in response to this issue. It’s good though for the SSS as an institution that 73% are employees and the rest are individual payors. Anyway, back to your concern, yes, of course, you can manage your SSS contributions to your advantage. I’m glad you’re looking into these things because it means you’re also looking at other investments and savings schemes. Please comment again if I missed something. By the way, after I read your comments, I checked how the US SSS computes pension — they consider the salaries for the last 35 years or last 420 months to get the average salary. 420 months! They also adjust for inflation, meaning they multiply an index to the earlier salaries for earlier years. Then they divide the average into 3 brackets, in which the benefit is a % of the average salary. You can see in their table that those with higher salary averages get a lower %, meaning in the US SSS, the higher-earning members also carry the burden. Correction on the member No. 2 total contribution after 20 years. 500*12*15+1760*12*5 = 195,600. I’ve written 20 instead of 5. Russel here. Thanks for this post. Anyway I really could not find any advantage (pension),in paying the maximum before the last 60 months of contributions. I made a calculation between 2 members paying their contributions at the span of 20 years. I will use the formula number 2 as it’s usually the one giving the highest yield. Pls. correct me if I’m wrong. 1.Member No. 1 contribution: Maximum @ 1,760. Total contribution after 20 years is 1760*12*20 = 422,400. Monthly Pension: 300+.20*16000+.02*1600*(20-10) = 6,700. As we can see both are getting the same pension @ 6,700 even though the 1st member paid more than half of that of the 2nd member. This proves that the amount in contribution is not really a factor but the number of years and the last 60 at maximum.